Season Launches with a New Newport Neighborhood For Travelers and Local Day-trippers to Discover the Undiscovered. The start of the Newport season brings an exciting buzz around all that is new and happening ahead. Along with this is the Rhode Island Red Food Tours new neighborhood and tasting locations to explore. 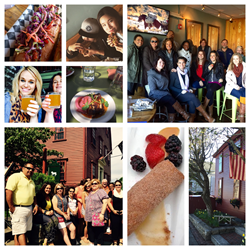 The Newport Neighborhood Food Tour season is now open. RIRFT's new food tasting locations take visitors to “off-the-beaten-path” eateries that will round out an already stellar group of restaurant partners for a fun, authentic culinary experience. Participants will find carefully curated eateries and tastings deeply connected to Newport’s rich history, neighborhood and culture, offering both traditional and modern creative spins on old favorites. From “sea to table” or “farm to table” the restaurants take pride in all of their creative offerings, using the freshest, locally sourced seasonal ingredients available. “The food tour is designed to appeal to those who are looking for fun things to do in addition to sailing and Newport Mansions Tours. After all,everyone loves good food and wants to go where the locals go. Just add some local culture and history and you have a unique enjoyable experience to do with friends and family. An added bonus is the local restaurants and chefs are being directly exposed to patrons that will go back and enjoy their restaurants. In the end, it is experience everyone can feel good about.” says founder, Paula Silva. The three hour afternoon walking tour will explore five to six eateries, offering an interesting assortment of tantalizing sweet and savory tastings and generous taste-size portions. The experience highlights the fare of the day, bios of the chefs and restaurants, signature libations and culinary offerings that entice guests to return. The tour walks patrons through the highest concentration of colonial homes in the United States, in the historic “Point”, “Broadway” and “Washington Square” neighborhoods. Along the way little known details of Newport's rich history and folklore will be revealed. Whether celebrating Birthdays, Anniversaries, Bachelor/Bachelorette Parties, Mothers/Father’s Day or team building events, the guided tour is a gastronomic experience to share with friends and family. Tours depart on Fridays and Saturdays at 12:00 PM, through November, rain or shine and are appropriate for all age and fitness levels. For more information visit the fresh new Rhode Island Red Food Tours website, it is now fast and responsive making ticket purchasing that much easier or email info(at)rhodeislandredfoodtours(dot)com. #1 on TripAdvisor’s Food & Drink List in Newport. Bachelorettes Having Fun On A Food Tour!Bachelorette Party Catch of the Day!12lb. 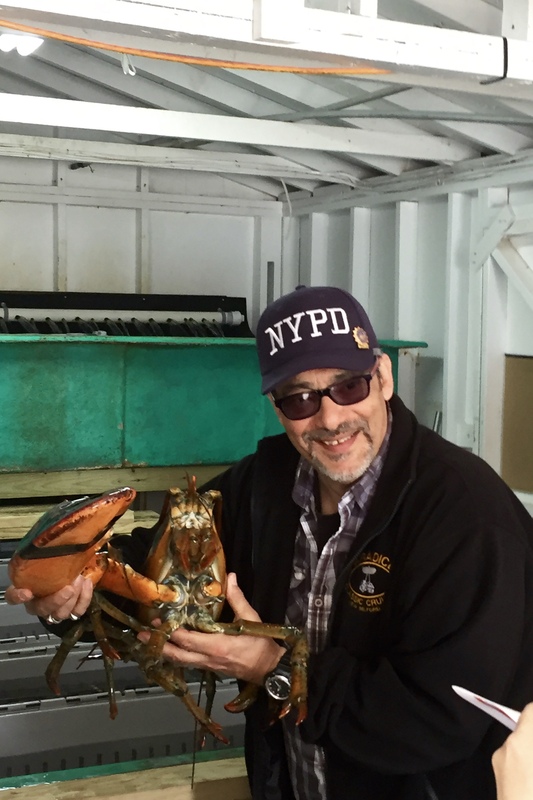 lobster with one claw.